First-time hamster owners find themselves asking a lot of questions. 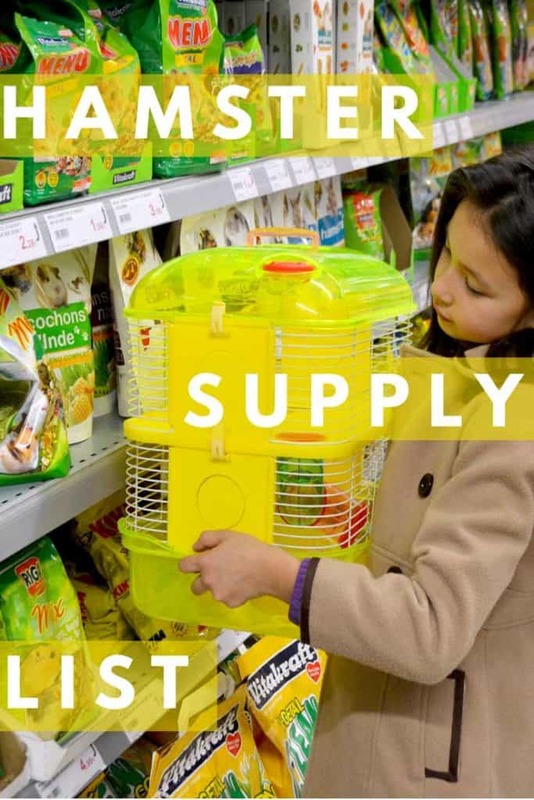 Perhaps the most common question is, “What does my hamster need?” Today, we’re responding to this question with a thoroughly researched and all-inclusive answer. After reading the guide below, you will know exactly what to buy for your new, furry companion. As it goes for most things, not every option on the market is going to meet your hamster’s needs. Careful consideration and comparison should be made before you make your final selections. This might sound like more thought than you figured you’d have to invest initially, but with our help, you’ll find the shopping process less mystifying. 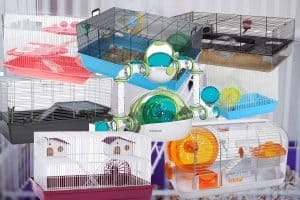 The cage that you select is one of the most important aspects of hamster care, as this is where most hamsters spend the majority of their days and nights. You might find the small, colorful cages in the pet store appealing, but oftentimes these cages aren’t up to par with a hamster’s special requirements. At a minimum, the cage you choose should be 24’’ x 12’’ x 10’’. The more space that you can give your hamster, the better. Hamsters are lively and active creatures with a love of playtime, so it’s important that their cage has enough space to accommodate that. For a conventional cage with bars, consider this best-selling model by Prevue. Its dimensions are great for hamsters of any size, including the larger Syrian hamster. And the bars are set close enough to one another to prevent your small dwarf hamster from making a daring escape. A similar type of cage is this one, manufactured by Lixit Animal Care. The dimensions are generous, and its construction is sturdy. This cage also comes with the added benefit of included accessories, which could seriously cut down on the amount of time spent shopping around. Many cages with wire bars contain platforms in their design. This can be a great use of vertical space but be cautious! If a hamster were to fall from a 3rd or 4th level in their cage, they could become seriously hurt. The cages highlighted above only have one platform, minimizing the risk of injury from falling. Can you acquire a mesh lid for the top, as to provide ventilation? If you’re going to forego the mesh lid, are the sides of the cage high enough to prevent an escape? Will you be moving the cage frequently? Glass cages can be rather heavy and difficult to move. Owners will often make use of aquariums, terrariums and even fish bowls, but the best approach is to purchase an aquarium tank no less than 20 gallons in capacity. This basic tank by Perfecto is a great starting point that allows you to fully customize your hamster’s living space. Are you still undecided or have further questions? See our complete guide to choosing the best cage for your hamster. Aspen shavings make for great bedding due to the highly absorbent nature of the all-natural material. This type of bedding is free of dust that could pose respiratory health concerns and doesn’t contain fragrances or oils. For owners who are determined to provide the healthiest options to their pets, bedding made of Aspen shavings is an ideal selection. For a very low price point that accompanies maximum results, Healthy Pet Natural Bedding is a serious contender for the “best bedding” category. This option is also free of dust but does have the added perk of an odor-control formula. If your aim is to give your hamster’s cage a little bit of flare, Carefresh Colors bedding by Absorption Corp checks all of the boxes. The bedding, which comes in three fun colors, absorbs up to three times its own weight in liquid. It also boasts a non-toxic formulation that is safe for any hammy. For our guide to the top five bedding options for your hammy, click here. In this article we detail the pros and cons of these bedding options and more. There are many sand options available for this purpose. Be sure to look for items labeled as “sand” and not “dust.” The particles in bathing dust are much smaller and can be inhaled, causing respiratory problems for hamsters. Chinchilla sand, like this one sold by Supreme PetFoods, is the go-to option for most hamster owners. The dust-free formula is great for their health and the texture of the sand itself best mimics what wild hamsters would commonly use. It is also all-natural, meaning that there is no risk of skin or fur irritation. Unfortunately, it can be expensive and arduous to find and purchase high-quality chinchilla sand. As a result, many innovative hamster owners have turned toward non-toxic reptile sand. Reptisand produces no dust and is one of the few reptile sands that don’t contain added calcium (which can be harmful to hamsters). Height – It must be short enough to allow your hamster in and out easily. Shape – Ideally, a sand bath container will have no corners in which the sand or hamster can get wedged. Width – The hamster should have adequate room to roll around to their heart’s content. Sturdiness – Because there’s going to be a lot of rolling and digging, you want to make sure that the container won’t fall over when your hammy is inside. Depth – The container should be able to accommodate around 10 tablespoons of sand bath material. Need more information? Read our guide about how to give your hamster a sand bath. Playtime is serious business for hamsters, don’t you know? These energetic animals need to be able to blow off some steam, and toys facilitate this need while encouraging other positive behaviors. Certain toys, like this Kaytee-brand hamster ball, can even help keep them at the peak of physical fitness. They help keep your hamster’s teeth in great shape. They provide an outlet for a hamster’s innate chewing instinct. Many chew toys taste great! Consider these apple tree sticks, manufactured and sold by jiajucj. Wooden chew toys are considered the golden standard by most hamster owners, and for good reason. However, it is unfortunately common for owners to mistakenly purchase wooden toys that have been treated with pesticides and other chemicals. These apple tree sticks are 100% all-natural and free of manmade chemicals that could compromise your hammy’s health. They taste incredible to hamsters, as well, which could help you to curb any unwanted cage-chewing behaviors. Other popular hamster toys include tunnels and spinning hamster wheels. We will delve into these specific forms of play below. Did you know that wild hamsters will create underground labyrinths of self-made tunnels? You can help to nurture their instinctive tunneling behavior by purchasing the right toys for the job. Tunnels also help to promote exercise and mental stimulation, which are vital for a hamster’s overall well-being. Plastic tunnels are the go-to for many owners due to their durability. The possibilities are endless with interlocking tunnels that allow your hamster to explore more surface area and engage their minds. If you own the appropriate habitat, this playtime module by GNB Pet could rock your pet’s world. 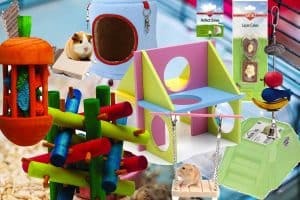 These interchangeable Kaytee-brand tunnels are fantastic for hamster owners who are looking to create their own, unique tunnel setup. The downside of these tunnels, however, is that they are only a good fit for dwarf hamsters. Is plastic not appealing to you? Consider this tunnel system made by Niteangel. This toy features all of the fun of tunnels as well as the added excitement of climbing. Unlike many plastic tunnel systems, this wooden fixture easily accommodates the larger Syrian hamster breed. It serves a dual purpose, as an entertainment center and a hamster house all in one. Do existing tunnel options fall flat in your opinion? That’s okay! With a bit of time and creativity on your hands, you can create a DIY tunnel system that perfectly fits your hamster’s needs and their habitat. Click to see our guide to making awesome hamster tunnels for your energetic pet. The most iconic hamster toy is the spinning wheel, a feature that can stand alone or be attached to the sides of the hamster’s cage. Hamster wheels are great for exercise, allowing your hamster the energy release of a hamster ball without the need for your supervision. The Kaytee Comfort Exercise Wheel is another top-notch model of a hamster wheel. It comes in sizes ranging from five and a half to over twelve inches in diameter, so any hamster of any size can use it! And, just like the Silent Runner, it can be a standalone feature of the cage or attached to its side. Sometimes, your hamster will just want to curl up away from view. A day of play can really wear your little hammy out. Lights, loud noises and other environmental stimuli can stress them out, so it’s important that they have a little haven away from all the commotion. There is a multitude of hamster houses on the market, so it really boils down to preference. Do you want something colorful and whimsical? Check out this little house made by Alfie. Does the area of your hamster’s enclosure get chilly sometimes? This snuggly hamster house by FLAdorePet is the perfect solution. It can even be washed in your washing machine! The options are plentiful, so it’s not as if you’re limited to any specific type of style. Check out these 17 cute and innovative hammy houses. You can’t buy love and attention at any pet store – it’s something that you have to make a point to show to your hamster. Having the items listed in the guide above is important, of course, but you need to have the dedication to routinely check these items and ensure they’re in good shape for use. 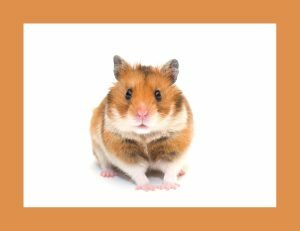 At least once a week, you should do a thorough cleaning of everything inside of your hamster’s cage – including the cage itself. Making sure that your hamster’s environment is clean and healthy is the best thing that you can do for them. Show your hamster how much you love them by making sure that they are living in a space that’s safe for them and their overall health. Previous PostWhere Should I Put My Hamster’s Cage?